Ten Day Fern has glossy, hairless, triangular shaped fronds. The fronds are tough, so it is also known as Leatherleaf Fern. The lobed leaflets that make up the frond (the pinnae) are broadly spaced along the central stem of the frond, known as the rachis. In this species, the rachis is grooved and has scales. The fronds are spaced along a scaly rhizome that creeps along the surface of the soil. This fern grows well in full sun or shade in moist soil. Ferns do not produce flowers and fruit, instead they reproduce from spores. In the Ten Day Fern the spores are large, round and dark. They are found in a double row on the underside of the fronds. Ten Day Fern is native to Bermuda, and has a very wide global distribution. Its tough fronds are often used in flower arrangements as it is robust and can tolerate drying (it is said to last ten days when not in water). 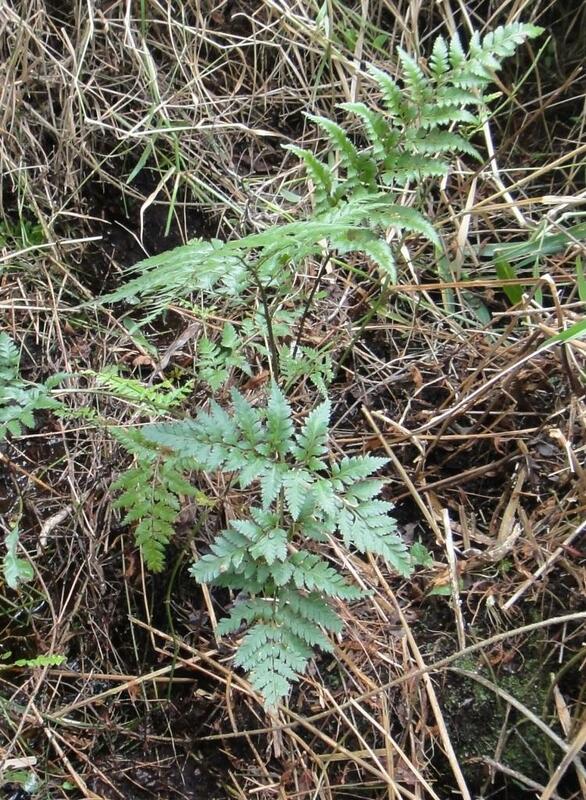 These characteristics have lead to wide cultivation of this fern for use in gardens and by florists; locally, however, it has become rare. In 1918 Britton noted that in Bermuda it could be found in Devonshire Marsh and Walsingham. Today it is only found in the freshwater marsh habitat in Devonshire Marsh, where only 3 or 4 specimens are thought to remain (Fern Recovery Plan). Ten Day Fern is therefore listed as locally Critically Endangered under the Protected Species Act 2003 (Protected Species Order 2007).